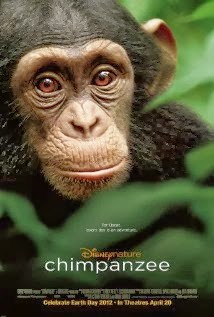 When I asked my colleagues for adoption movie recommendations last year, I was interested – and skeptical – about the Disney Nature film Chimpanzee. It turned out to be relevant, though! Narrated in the kid-friendly familiar voice of Tim “Buzz Lightyear” Allen, Chimpanzee follows a young chimp named Oscar. 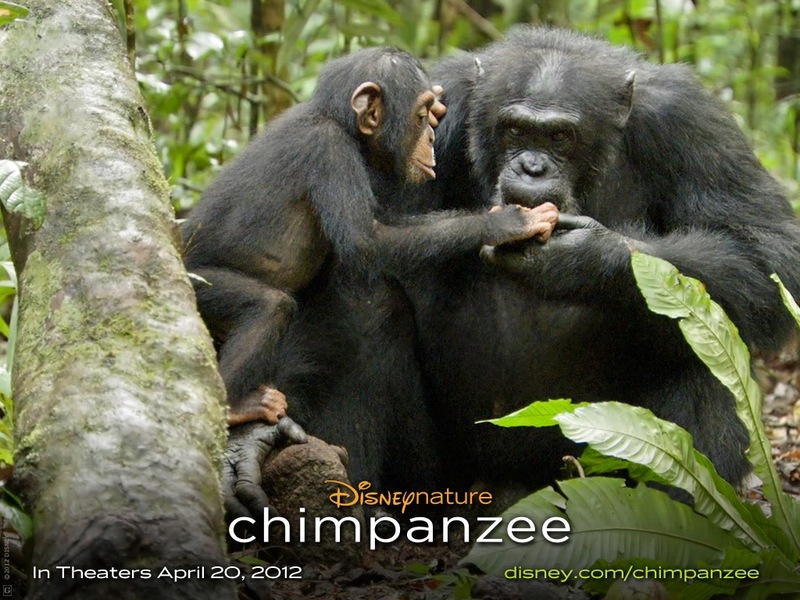 Oscar is loved by his mother Isha, but is separated from her when a rival band of chimps attack. Oscar’s life is spared, but he is now parentless in his tribe. 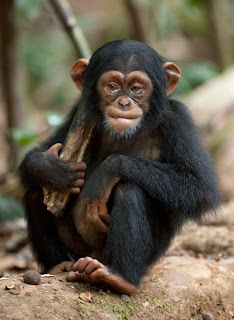 He is chased away by other chimps and seems to be viewed as an annoyance. Eventually, though, Oscar finds himself in the good graces of Freddy, his tribe’s grumpy but loyal leader. The tribe’s leader, Freddy, engages in nurturing behaviors towards Oscar. Tim Allen notes that some of these behaviors would only be done by a mother. This signifies that Freddy will adopt Oscar – he gives the first piece of food to Oscar and teaches Oscar how to hunt. The film shows that Freddy has “discovered a softer side that must have been there all along.” I like that Oscar will be able to thrive, and that he is accepted and embraced by the community. I also like that Freddy is able to be a positive, nurturing “adoptive father,” even though it was unexpected. Oscar’s tribe of chimpanzees does hunt another species of monkey. They catch and eat the monkeys. Isha is separated from the tribe by an attack from a rival tribe of chimpanzees. It is presumed that Isha has been eaten by leopards. This could be very traumatic for children who have lost, or lost contact with, their mothers. Tim Allen narrates that Isha “will never return.” It’s heartbreaking to realize that Oscar doesn’t know about his mother’s death. He spends considerable time searching for her, without success. Children watching this film who have been separated from their mother may connect with Oscar in these scenes. I can imagine the scenes being cathartic for some kids but confusing or even traumatizing for others. Oscar eventually realizes that he needs to start thinking about his own survival. He is repeatedly rejected by potential mothers. The film seems to use the terms “adoption” and “foster parent” interchangeably. I could see it confusing some kids. There are some parts of Chimpanzee that could be really challenging for some kids who’ve lost contact with their parents – or who have lost their parents to death. Oscar’s experience of repeated rejection could also resonate negatively with children who have been in multiple foster placements or disrupted adoptions. On the other hand, Chimpanzee speaks glowingly of Oscar’s mother and does show that Oscar ultimately finds family in an unexpected person. Because very young kids might not be able to deal with some of Oscar’s losses, I’d recommend this film for kids between the ages of 7-11. I also advise you to check it out before seeing it with your kids, to make sure that there isn’t anything in the film that would be too much for them. Chimpanzee could be especially positive for kids with a single adoptive dad or for kids who have experienced multiple failed placements but who have finally found a permanent home. How did Oscar feel when he tried to connect with Freddy? What were the scariest parts of the movie? The saddest? The happiest? New to Adoption at the Movies? Check out the Adoption Movie Guides on the menu bar. Also, like Adoption at the Movies on Facebook, and follow us on Twitter for updates, thoughts, and more!